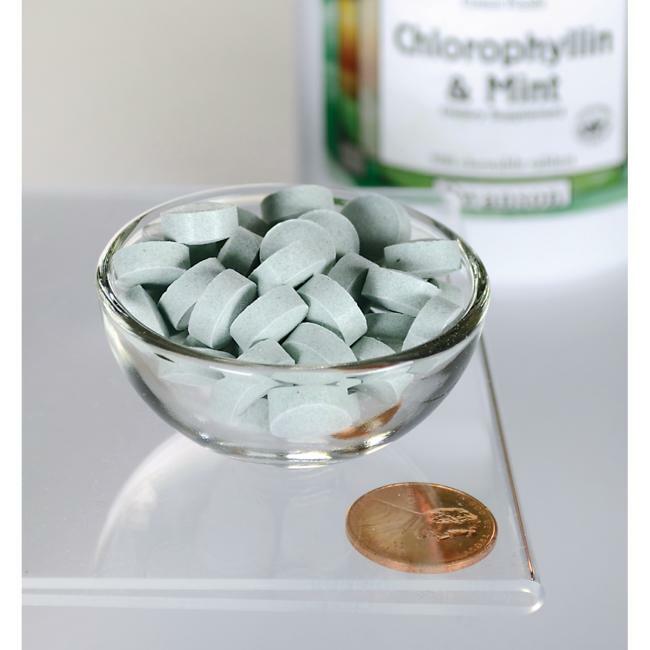 Chlorophyll benefits include helping fight cancer, improving liver detoxification, speeding up wound healing, improving digestion and weight control, and protecting skin health. The primary reasonchlorophyll is considered a superfood is because of its strong antioxidant and anticancer effects. Other ingredients: Isomalt, stearic acid, magnesium stearate. Suggested Use: As a dietary supplement, take two chewable tablets three times per day with water after meals.